Applying strategies focused on user needs while ensuring increased productivity, is one of the biggest challenges found in today’s market. The key factor to help you leverage your business may be the combination of project management methodologies, such as Design Thinking and Scrum. Below you will learn how these two approaches can complement each other, their benefits and how to properly use them in your business. Design Thinking respects and understands the needs of the end user. In this methodology, the consumer’s opinion is fundamental to avoid risks in every project: when the result focuses on the client’s mind, respecting their experiences, desires and challenges, the gap where errors may occur becomes much smaller. By involving all stakeholders – with their different expertise – in the process of creating and developing new products and services (design thinking stages), the strategy ends up making more ideas and concepts tangible. This, in turn, guides the company make it technologically and economically viable, which can be interesting both for the company and for the end user. Scrum can transform the way you manage and develop businesses, with faster, more assertive deliverables. The tool is structured in sprints, which last, on average, 5 days. In this period, the framework seeks continuous improvement, finding and fixing errors as they come up. This format minimizes risk, reduces rework, and makes project management more productive. Combining two methodologies that are so effective on their own may be the best way to manage agile projects while focusing on user needs. The most important thing to keep in mind is that the scope of the project is created by going through several cycles that have fragmented closures and deliveries. The insights, in turn, are produced by the team and they serve as a basis for the process to be completed in a much more clear fashion. Therefore, it is always important to have a deep understanding of the different stages of each of the tools, as well as their concepts, functionalities and the role played by the project team, ensuring more transparency in deliveries and reducing risks. Design Thinking is a method that maps as many user challenges as possible (through observation and information gathering) in order to make ideas tangible and find solutions. Each insight, raised by the team and centered on 03 key stages, is relevant to reaching a clearer consensus. Immersion: Problems are raised and analyzed, taking into account the end-user and business perspective. At this stage, research – interviews, search for trends (Cool Hunting), direct observation, among others – is carried out in order to understand the problem. Ideation: The stage in which the team carries out the creative process and presents ideas for the problems found. Prototyping: This is when the prototypes of the ideas raised in the Ideation process are developed and tested, trying to find and apply improvements in a continuous way. It is worth mentioning that the last stage can be carried out alongside the others. As new ideas come up, they are prototyped, tested, and validated. In this context, implementation becomes a continuous process. Scrum is an agile framework that can be used to manage everything from complex projects to small events. In this methodology, collaboration is essential to achieve the set goals. It is also necessary to work with continuous deliveries, avoiding any problems that are only found at the end of the process. In Scrum, the activities to be developed, their priorities and deadlines, are recorded (product backlog) and sorted into sprints – which represent the time frame in which a task (user story) will be developed and delivered. The size of each sprint is relative: each company adjusts its tasks in a block of activities that can take between one and four weeks. Ideally, this should break the project into smaller sprints. The process is usually controlled through a framework, where you can see the tasks that are under development, those that have been worked on but still need to be checked or tested, and those that are considered completed. Product owner – The project director. He/she defines which activities (requirements) will be part of the product backlog and which are to be addressed by the team, as well as representing the minds of the consumers of the product/service being developed. Scrum Master – Acts as a bridge between the product owner and the team. He/she is responsible for setting up meetings, monitoring team workflow, and ensuring that there are no obstacles – be it tools or other requirements – preventing the team from fulfilling its role satisfactorily. Team – The team that works in the development of the project or product. Now that you know a bit more about each of these approaches, do you want to understand how Design Thinking and Scrum can bring more security and value to projects? 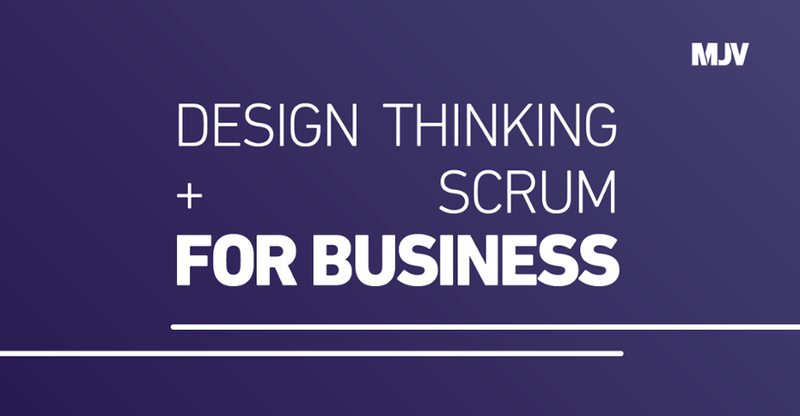 Access our new video – Design Thinking and Scrum in Business.